Case Management Principles, the first course in our Foundational series, establishes a framework for case management, and helps new or experienced care managers and care coordinators understand the theoretical basis and practical application of fundamental case management strategies and resources. Perfect for RN case managers, social work case managers and care coordinators working in health plans or any care setting, the full Case Management Principles course provides a comprehensive, detailed picture of what case management is, where it fits within the broader healthcare system, and the vital role care managers play in improving health and wellbeing for large populations of people. Delivered in an engaging, interactive and self-paced format, this intensive case management training also equips care managers with tactics for preventing and neutralizing burnout; applying coping and management strategies for vicarious trauma; and applying tools for diffusing violence and practicing safety. 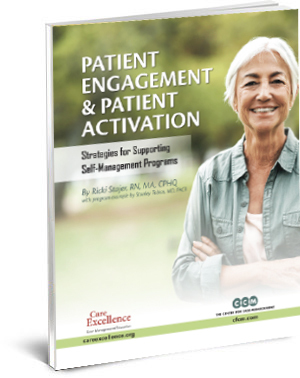 Care Excellence’s case management education is perfect for individuals or teams and has been utilized by large health plans to onboard new care managers, as well as to reinforce and up-level case management skills throughout organizations. What sets this online education program apart? All of the case management training courses offered through Care Excellence have been designed to give you exactly what you need, when you need it. Feel free to take the entire Case Management Principles course for a broader understanding or laser focus your training on any combination of the modules below to address specific challenges. Please call us if you want to purchase multiple modules or if you need assistance designing a custom combination of solutions. A thorough understanding of the core elements of case management enables new care managers to become grounded in the true purpose and goals of this important work. Care managers will learn the ins and outs of the assessment, micro and macro elements of care coordination, how to make a successful referral, and how to monitor ongoing progress of clients. The fundamental aspects of crisis management, including prevention of crises, are also covered. Care managers have an ethical duty to maintain healthy relationships with clients, based upon an understanding of transference, value conflicts and confidentiality. These and other key principles, including informed consent and client rights, are detailed in this module. The care manager’s role in relation to protected and vulnerable populations is also explored, with an emphasis on working with seniors and persons with disabilities and dually eligible Medicaid and Medicare populations. Care managers are taught and given the opportunity to apply best practice interventions that positively modify client behaviors. Care managers work within an evolving healthcare management and delivery system. Effective care managers understand the structures within which their services are provided. Care managers will learn about different types of health plans, new models for healthcare delivery including ACOs, and case management practice settings. The goal of managed care is to increase member satisfaction and health, while reducing hospitalizations and costs. This module details the important concepts of utilization management, resource management, adherence, and quality are covered in this module. Care managers will also learn how data is used to implement strategies across client populations. Care managers can serve a variety of roles as educators, coordinators, clinicians, quality manager, negotiator and advocate. Depending on the work environment care managers may be called upon to serve clients telephonically or face to face. This module explores the benefits and barriers involved in both types of service delivery as well as the technology that facilitates case management in all settings. Effective case management relies upon multiple professionals working together to solve the myriad of medical, functional, social, and environmental issues that contribute to a person’s ability to achieve care goals. This module details ways that care management teams improve safety and quality of care through collaboration with members of an interdisciplinary care team as well as ancillary service providers and organizational partners. Peer support and mutual professional development creates opportunities for learning from others’ experiences, knowledge, and wisdom. This module explores the benefits of peer support groups, details the indicators of burnout, and identifies ways to prevent and recover from burnout. Care managers also learn the risk factors for potential violence when working with clients and tools for diffusing volatile situations. Critical thinking skills allow care managers to identify the underlying issues that impact a clients’ ability to achieve their goals. This module provides an in depth look at the practice of self-disciplined reasoning including emotional reasoning, pragmatic reasoning and epistemic reasoning. Care managers will learn strategies to improve critical thinking skills and apply the concepts of critical thinking, reasoning, and reflective thought through demonstrated case scenarios. The Case Management Principles course is available online and can be purchased both in its entirety or piecemeal by modules. Please call us for more information.